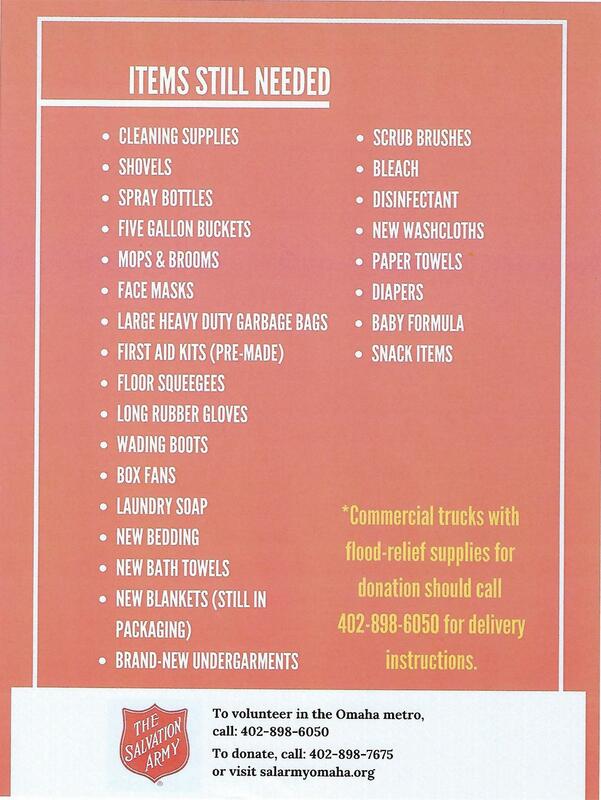 The Salvation Army is looking for donations of the following supplies for Flood Relief. Information on how to donate is below. All materials and photos, unless otherwise specified, copyright of Rotary Club of Omaha (Downtown).